UPS� Plus Equals Big Savings! is a UPS Ready� shipping software solution for efficient businesses of all sizes. CPS fully supports UPS's vision of synchronized commerce as the next evolution of global commerce in which goods, information, and funds are seamlessly connected to benefit customers worldwide. , with UPS functionalities and services, increases profitability, dramatically improves shipping efficiency, reduces total shipping expenses, greatly reduces errors, connects to in-house systems, increases business rule compliance, simplifies cost center accounting, and empowers shippers with real-time decision making tools. , as a UPS Ready Program, is approved by United Parcel Service under the rules and requirements of its UPS Ready Program to use in the United States to ship both domestically and internationally. * Harvey Software offers special services to help you easily set up UPS negotiated, custom and/or discounted rate tables. This insures you are shipping at the best possible rates. Contact Harvey Software Sales for pricing. Number 1 Choice for High Volume UPS Parcel Shippers! makes shipping parcels with UPS fast and easy. Easy access to Integrated UPS Rates and Service Selection, plus UPS Tracking, let CPS benefit both clients and customers. This, plus its full suite of powerful features, makes CPS one of the most comprehensive high volume shipping software solutions available today. supports UPS shipping through a single Package Level Detail (PLD) upload. A single upload daily means faster rating, label printing and package handling during daily processing than systems that have to communicate with an Internet based server for each step. This advanced feature along with all the other advanced high volume shipping features found in CPS allows today's parcel shippers to ship thousands of packages daily on a single system. supports UPS services for both domestic and international services, including alternative billing options such as freight collect, consignee billing, third party billing and UPS Paperless Invoice. CPS also supports thermal UPS "Smart Labels", "Tag-less" C.O.D. 's, and handles UPS Returns options and processing. CPS is available to all US shippers. UPS Time in Transit - This powerful UPS integrated functionality displays all available UPS shipping services with their scheduled delivery time, date, and days in transit. You can now compare the speed of UPS Ground to other UPS delivery services without ever leaving CPS. UPS Tracking - This powerful UPS functionality lets you provide up-to-the-minute shipping status reports to your customers, improving customer service and increasing traffic on your site. 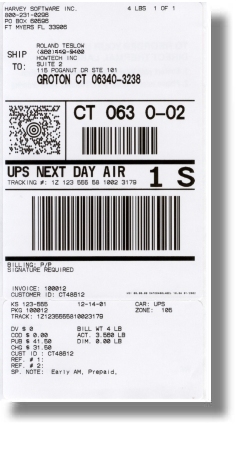 is UPS Ready�, your assurance that CPS meets UPS standards, including uploading your daily shipping information (PLD - Package Level Detail) electronically to UPS and printing UPS Smart Labels that are certified UPS Ready. also supports UPS address validation for the CPS customer database. CPS can automatically update its customer database with corrected ZIP+4 and mark them as verified when used. 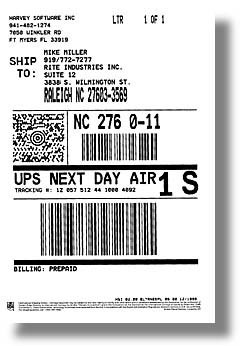 supports UPS Returns� Services including UPS Returns� Print Return Label, Electronic Return Label, and Print and Mail Return Label services. 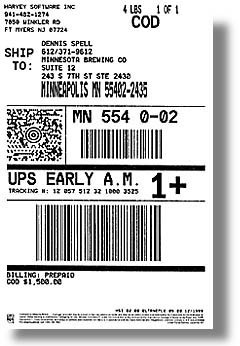 Send the label to the person returning the package or include it with the package. Alternately, UPS can be instructed to print a return label and send it to the person returning the package using CPS. Or, send a notification by e-mail to a person needing to return a package that contains a link to the return label which can printed on the recipient's own printer. CPS also supports UPS Return Service Pickup Address when the pickup address is different than recipient address. 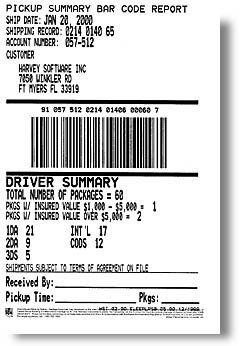 prints shipping labels, document labels, custom labels and other user defined labels. In fact, CPS can print multiple labels for each package processed. Fully integrated with CPS, UPS Mail Innovations is a high-volume mailing contract service that offers an efficient and effective way to deliver your mail with the help of UPS. UPS Mail Innovations lowers postal costs, time in transit, and packaging labor with bulk mail solutions that can increase efficiency and cut mailing costs. Once your packages are labeled by CPS for UPS Mail Innovations, UPS provides pick up, processing and interim transportation. Packages can be tracked using Harvey Software tracking options just like any other package shipped use CPS. will optimize it so every package that leaves your company using the best service at the best price. CPS optimizes UPS Mail Innovations like no other shipping solution! For more about the optional UPS Mail Innovations Module contact Harvey Software Sales. UPS Paperless Invoice eliminates the need for paper commercial invoices by integrating order and shipment processing, and transmitting commercial invoice data to enable clearance by Customs offices across the globe. UPS Paperless Invoice works seamlessly when using CPS. There is no need for additional software. Any CPS shipper can use UPS Paperless Invoice for any international shipment. 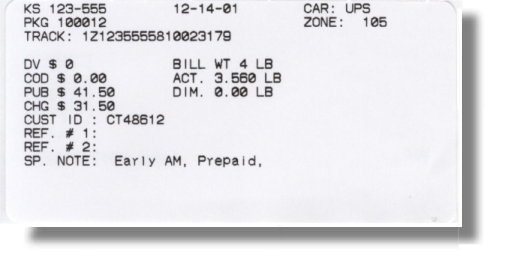 UPS Paperless Invoice service is free of charge. securely transmits your shipment information to UPS. All you do is enter shipment commodity details into CPS. The information transmitted to UPS is then available electronically and used to clear your shipment through Customs. With this electronic transmission, shipment processing begins earlier, enabling timely Customs clearance.